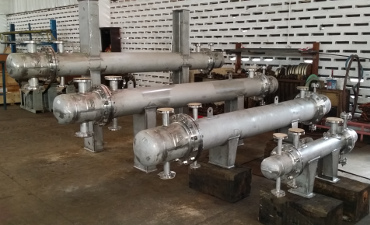 USPL is well experienced in designing and manufacturing of Heat Exchangers complying to ASME Section VII Div 1, API660 & TEMA R, C & B codes. 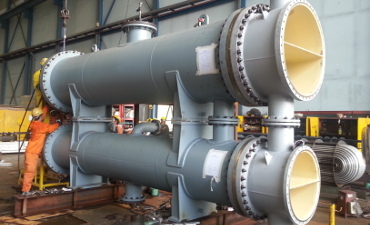 We fabricate Shell & Tube Heat Exchangers including Reboiler, Condenser, Falling Film Evaporator, Preheater, Double Pipe Exchangers and etc. 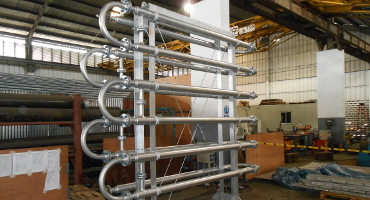 The material of construction includes various grades of Carbon Steel, Stainless Steel, Aluminium Bronze, Hastelloys, Titanium etc. 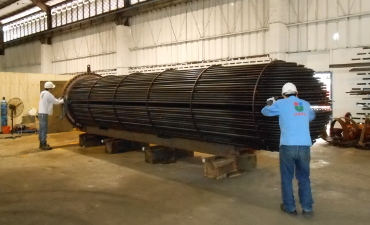 We have Third Party certified Welding Procedure and have qualified all our welders from external agencies.